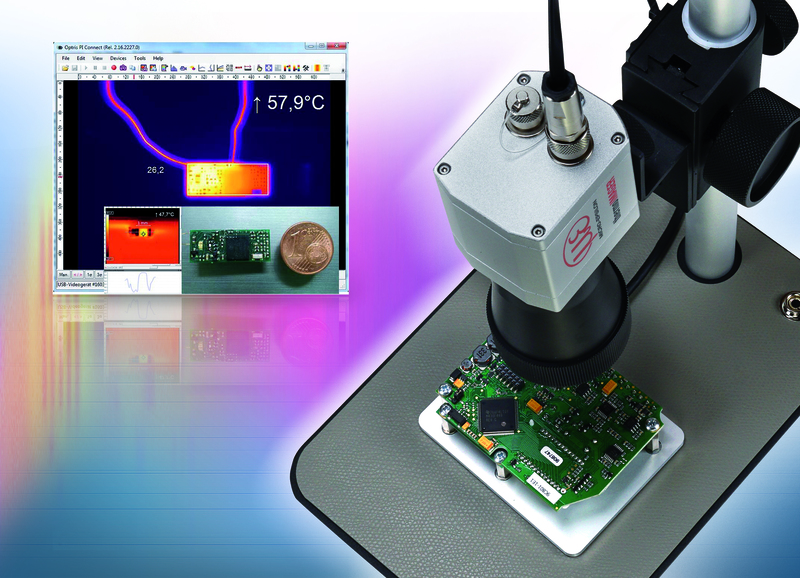 Thermal imager monitoring of ultra-small components is now possible using a microscope lens from Micro-Epsilon. This lens is available as an upgrade for the TIM 450 and TIM 640 high resolution thermal imaging cameras, enabling thermographic macro shooting of individual components based on a spatial resolution of up to 28µm. 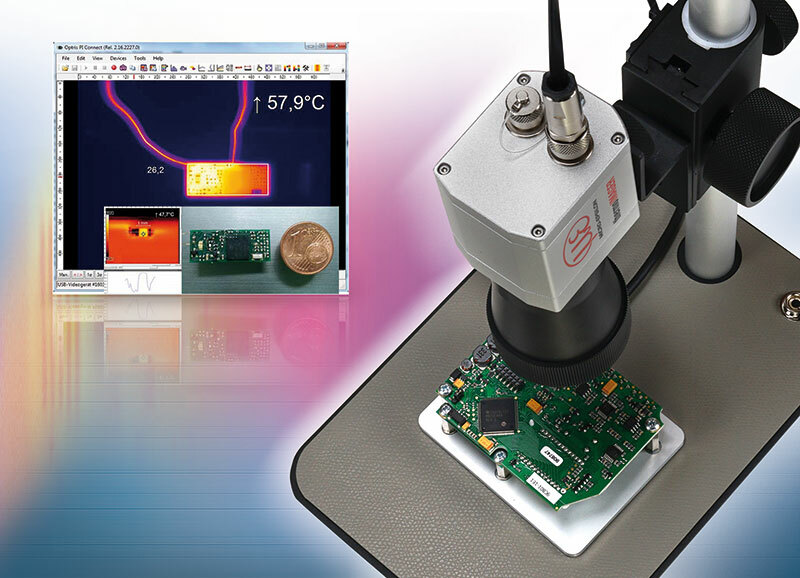 Thanks to the new microscope lens from Micro-Epsilon, the thermoIMAGER TIM 450 high resolution thermal imaging camera (382x288 pixels) and TIM 640 (640x480 pixels) can detect even the slightest temperature differences with high precision and reliability. The microscope lens has been developed for PCB temperature measurements, PCB assembly monitoring or for inspecting micro-sized solder and weld joints. The TIM 450 and TIM 640 camera models can be upgraded with the microscope lens. A process interface cable, a USB cable, a high-quality tripod and the comprehensive TIM Connect evaluation software are included in the scope of supply. The lens enables the display and rapid analysis of quickly changing temperatures and to record radiometric videos and images. The data can be exported and evaluated with other programs.